According to an article in the MetroWest Daily News, a Framingham man was recently arrested in relation to an alleged road rage incident. The article states that the defendant believed that the alleged victim cut him off on Route 9 and that the defendant then began to follow the alleged victim, reportedly beeping his horn and tailgating. According to the alleged victim, the defendant exited his car at an intersection, approached the alleged victim’s car, and pulled the door open. The police apparently saw the defendant exit the car to “confront” the alleged victim. There is no indication, however, that that the police observed him yelling, opening the alleged victim’s door, or that the door was in fact open. The police did, however, observe the alleged victim’s car door handle in the defendant’s hand – the defendant indicated that it had fallen off. The defendant was subsequently arrested for assault, under G. L. c. 265, § 13A, and vandalizing property, under G. L. 266, § 126A. An assault may be committed in one of two ways. It is either an attempted battery or an immediately threatened battery. A battery is a harmful or an unpermitted touching of another person, so an assault can be either an attempt to use some degree of physical force on another person, or it can be a demonstration of an apparent intent to use immediate force on another person. In this case, the defendant did not attempt to commit a battery, therefore the Commonwealth would have to proceed on the immediately threatened battery theory. For the Commonwealth to obtain a conviction for assault under this theory, it would have to prove the following beyond a reasonable doubt: (1) that the defendant intended to put the alleged victim in fear of an imminent battery; and (2) engaged in some conduct toward the alleged victim which the alleged victim reasonably perceived as imminently threatening a battery. For the Commonwealth to obtain a conviction for vandalizing property, it would have to prove the following beyond a reasonable doubt: (1) that the defendant destroyed property; (2) that he did so intentionally; (3) that he did so willfully with malice, or wantonly; and (4) that the property was owned or possessed by someone other than the defendant. As to the second element, the Commonwealth must prove the defendant acted consciously and deliberately, rather than by accident or as the result of negligence. As to the third element, the Commonwealth must prove that the defendant acted willfully with malice, or wantonly. A person acts willfully if he intends both the conduct and its harmful consequences. The act must be done with the intent that it have harmful consequences. A person acts with malice when acting out of cruelty, hostility, or revenge. To act with malice, one must act not only deliberately, but out of hostility toward the owner or person in possession of the property whoever that may be. A person acts wantonly by acting recklessly or with indifference to the fact that his conduct would probably cause substantial injury to, or destruction of, another’s property. The Commonwealth must prove that the defendant consciously disregarded, or was indifferent to, an immediate danger of substantial harm to another’s property. It is not enough for the Commonwealth to prove that the defendant acted negligently — that is, acted in a way that a reasonably careful person would not.Here, the defendant appears to have a defense to both charges. As to the assault charge, the defendant can argue that he simply did not open the alleged victim’s door, and did nothing else to suggest an imminent battery. The police appear to have arrived at the scene prior to the defendant’s alleged conduct, as the article states that the officer saw the defendant exit his car to “confront” the alleged victim, and the alleged victim’s door does not appear to have been open at the time that the police arrived. Additionally, the defendant can argue that even if he did open the door, his conduct could not reasonably be perceived as imminently threatening a battery. Specifically – the defendant did not use threatening words or gestures that would indicate any intent to engage in a physical assault. While being yelled at and “confronted” is certainly unpleasant and alarming, there is a question as to whether a reasonable person would perceive the defendant’s conduct to be imminently threatening a battery. 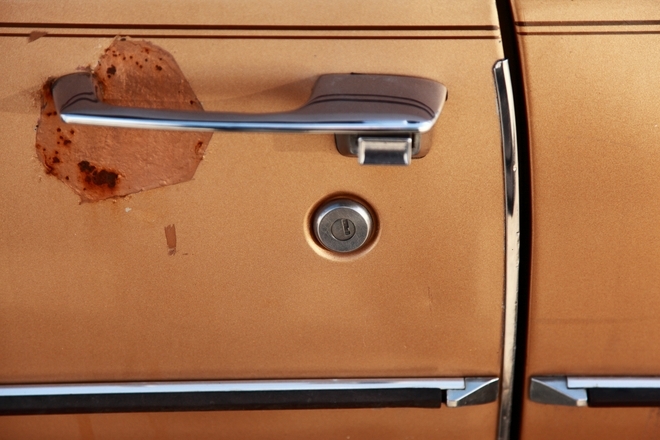 As to the vandalizing charge, the defendant can likewise argue that he did not open the alleged victim’s door, and that the handle did in fact fall off. Alternatively, the defendant may be able to argue that even if he did open the door, the handle simply came off by accident, rather than due to any intentional action on his part. Of note is the fact that there is no information as to the age and/or condition of the alleged victim’s vehicle. 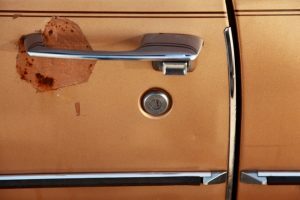 Moreover, it seems unlikely that a person would be able to physically rip off a car’s door handle, even if he intended or wanted to do so, unless the door handle was extremely close to falling off anyway. No matter what defenses the defendant may raise, he will still need an experienced defense attorney to make sure that he obtains the best outcome possible. Likewise, if you or a loved one has been charged with a crime, you will also need a skilled attorney. Attorney Daniel Cappetta knows the ins and outs of the courtroom and makes sure that all of his clients are zealously represented. Call him for a free consultation today.